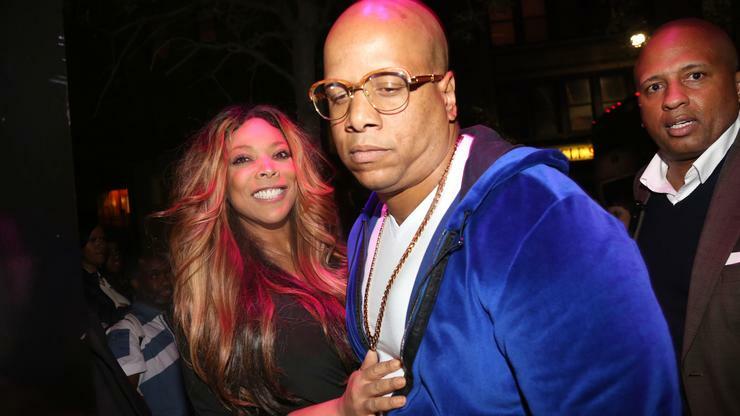 With the number of gifts Kevin Hunter has reportedly gotten his mistress Sharina Hudson since he knocked her up, you can’t really blame Wendy Williams for being so petty when serving her husband with divorce papers. It was revealed last week that the talk show host had officially filed for divorce from her longtime husband after finding out that he fathered a child with his mistress of over ten years. She gave her relationship a lot of thought and this was her final decision, choosing to find a new place to live in Manhattan. However, the way that she informed her husband of their pending divorce was pure Wendy because according to several witnesses, she actually disguised the legal papers as a gift wrapped with a bow. According to Love B. Scott, who was among the first to report on Wendy’s relationship troubles when they were still rumored, Wendy served her husband with divorce papers last week, packing them neatly in a gift box with a bow. Once he opened the present, he reportedly ran off screaming and cursing, which would make sense since he allegedly did not want to end his relationship with Williams because she funds his lifestyle. Without her, Hunter would not have been able to cop his mistress a gold Ferrari, expensive diamonds and a Chanel purse.